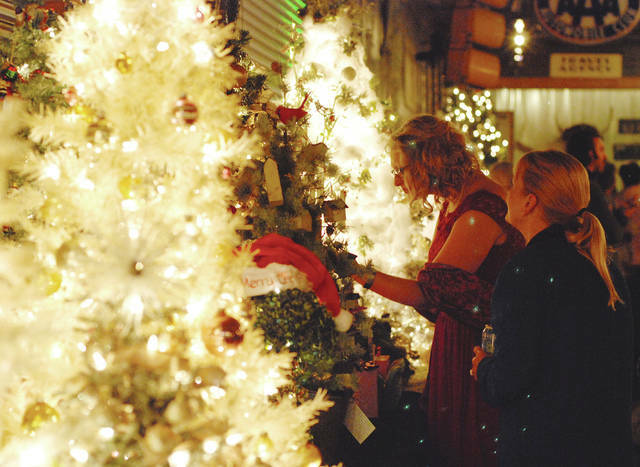 Browsers inspect each uniquely decorated tree as the row of offerings creates a warm glow prior to Wednesday night’s auction. Attendees at the MSD Gala and Auction gather for a social hour Wednesday in the bar area of the Cheetah Lounge, which was heavily decorated for this season’s Christmas gatherings. 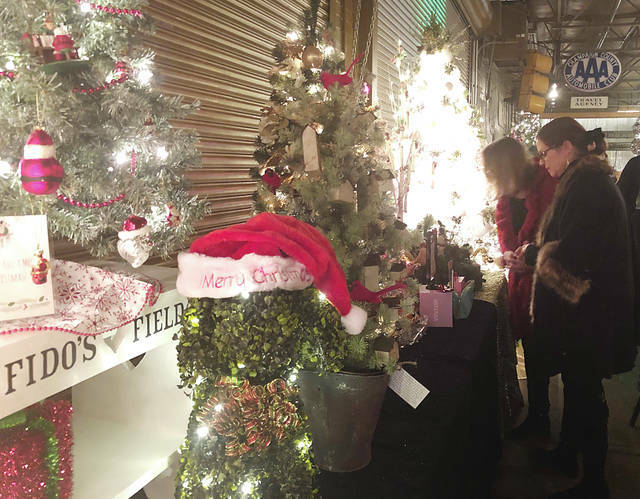 Monument Square District held its 20th Christmas Gala and Auction at the Cheetah Lounge in Urbana on Wednesday. A catered dinner along with uniquely-decorated Christmas trees and gift sets were sold during a live auction, and raffles were also drawn. Various businesses and local entities donated the trees for sale. Monument Square District (MSD) holds the gala each year as one of its major fundraisers. The mission of the MSD is to champion development of an economically, socially and culturally vital central business district in Urbana, enhancing the quality of the city. Many of the trees and gift sets sold for hundreds of dollars each. 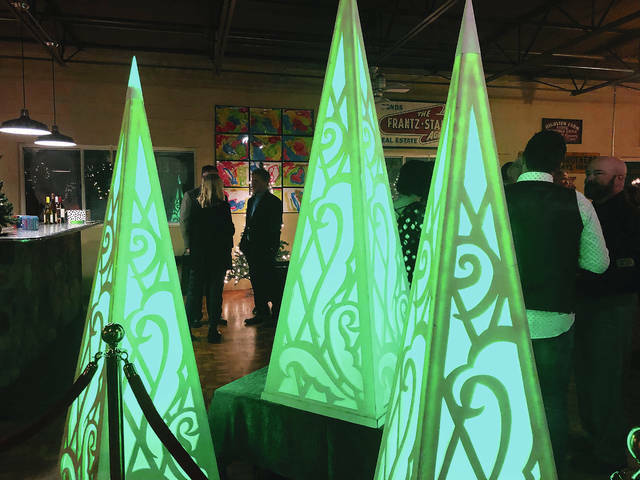 Diners perused the lineup of decorated trees before dinner was served and the live auction rounded out the festive evening.